Everyday, thousands of newborn babies and mothers die of complications during childbirth that can easily be prevented with adequate tools and training. 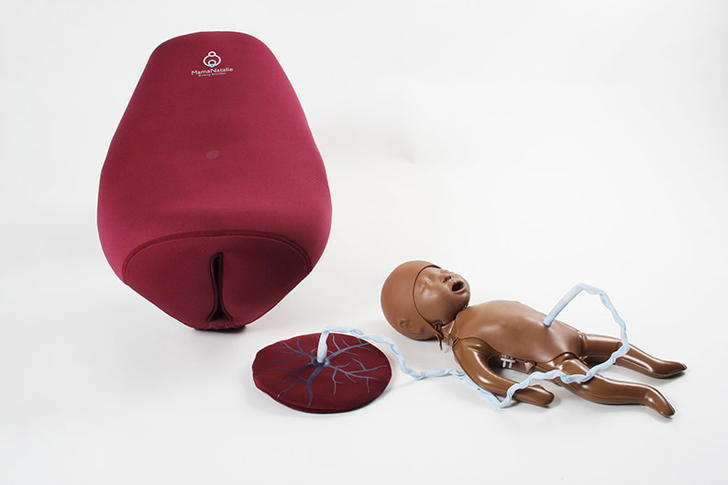 To address this issue, Norwegian company Laerdal Global Health took it upon themselves to develop a series of low cost, life-saving devices that could help teach midwives and birth assistants life-saving skills. Called ‘The Natalie Collection’ the system utilizes three effective, low-cost solutions that focus in on education, hands-on experience, and preventative action. Keep reading to learn more about the collection, which holds the potential to reduce newborn mortality rates by 47% in developing countries. The Natalie Collection was also just announced as one of five winners of the 2013 INDEX: Awards, the world’s biggest design award—big congrats to Laerdal Global Health! The NeoNatalie Suction is a silicone penguin-shaped suction device to assist with breathing. 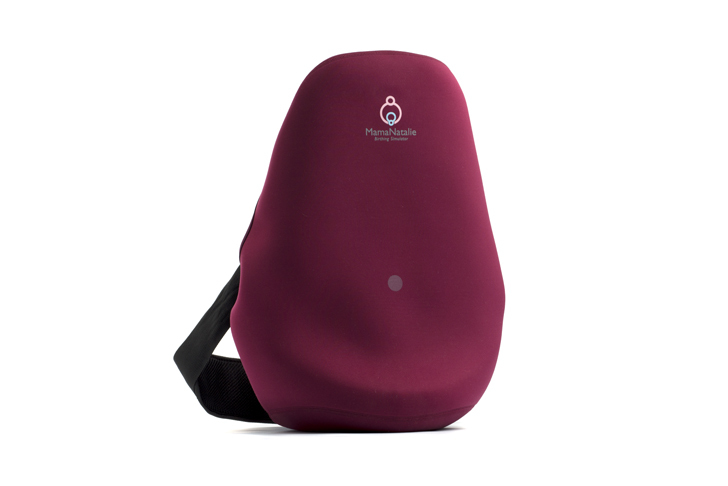 It is soft and formidable when accessing baby nostrils effectively and safely and can be easily disinfected, all the while being durable and allowing inspection of the suctioned material due to its transparency. The design is inviting and intuitive to use. The NeoNatalie Newborn Simulator is a mannequin that focuses on the important aspects of a baby’s body, targeting important areas midwives should take note of. Details such as weight, head articulation, umbilical pulse, as well as the babies’ breath and heartbeat have been simulated as closely as possible, making the subsequent handling of a real-life baby only a minor adjustment. The Mama Natalie Birthing Simulator is a wearable contraption that simulates a woman’s womb in a realistic, yet culturally sensitive and inoffensive way. Again, only the most important aspects are focused on and aesthetic details are left out to provide the best training possible without distractions. The simulator is also compatible with the use of fake blood in training to deal with post-birth bleeding, which is a leading cause of maternal deaths. So far, The Natalie Collection has already had a proven and measurable impact. Coupled with training through the Helping Babies Breathe program, use of the NeoNatalie collection in Tanzania has shown a 47% reduction in newborn death due to asphyxia. It goes without saying that the global impact of The Natalie Collection would be phenomenal. With their INDEX: Award cash win, the Laerdal Global Health plans to invest their money with the International Confederation of Midwives to support the Helping Mothers Survive and Helping Babies Breathe training programs. Everyday, thousands of newborn babies and mothers die of complications during childbirth that can easily be prevented with adequate tools and training. 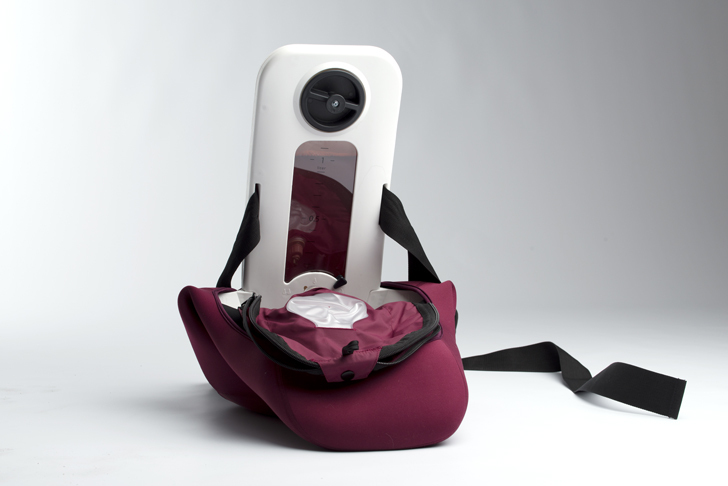 To address this issue, Norwegian company Laerdal Global Health took it upon themselves to develop a series of low cost, life-saving devices that could help teach midwives and birth assistants life-saving skills. Called 'The Natalie Collection' the system utilizes three effective, low-cost solutions that focus in on education, hands-on experience, and preventative action. Keep reading to learn more about the collection, which holds the potential to reduce newborn mortality rates by 47% in developing countries. The Natalie Collection was also just announced as one of five winners of the 2013 INDEX: Awards,�the world's biggest design award�big congrats to�Laerdal Global Health!